09.24.2009: Episode 9 & Martin turns the tables! First off, I feel like I need to say something before I get started with the episode stuff. I want to wish my brother, Marshall, a Happy Birthday so here it is in Japanese… Otanjoubi omedetou, otoutogo! Number nine, people! 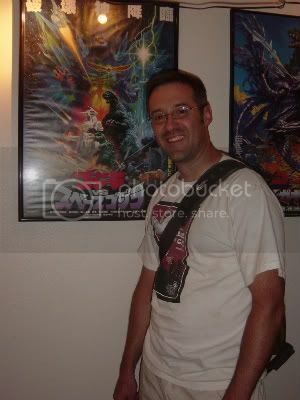 Things are going swimmingly for the Kaijucast this month as I just finished up the ninth episode with my guest Martin Vavra, who (back in January) was my very first interviewee! When we were hanging out this month, Martin offered to interview me! So this is my birthday show (mine is the 28th), for which I guess I’m sort of the special guest in the studio. Primarily, Martin & I talked about my history with Godzilla and what it is about the genre that I love so much. We also touched on how I compared the genre to other fandom properties, but it wasn’t all hum-drum interview stuff! I played some fantastic music as well. You’re probably wondering when I’m going to stop rambling and post the link to the show, well the episode can be downloaded right here. Make sure you look below at the links to the news articles and show notes. And especially make sure you read on about the Halloween Bazaar (especially if you are from the Portland area). Silver Scream Spookshow in Atlanta this weekend! Toho Magazine & DVD Combo releases! 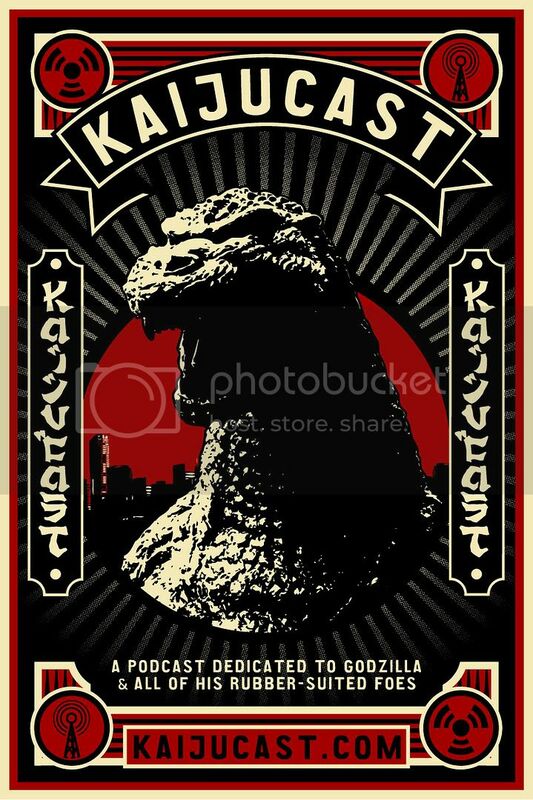 Limited edition Kaijucast print being produced for the Portland Halloween Bazaar. The Portland Hallowe’en Bazaar (PHB) is back with its unique festival atmosphere of music and monsters packed with a vibrant and ghoulish array of activities and spectacles that will entertain and delight everyone in attendance! This year’s Bazaar boasts a slew of NW Artisans and Retailers, Night Shade Shadow Puppet Theater, Live Acoustic Music, Uncle Eerie’s Shiver Show ‘Make Your Own Monster’ Contest, Oddball Entertainers, Skull Bowling, DJ Great Pumpkin Kids Dance Party, Family Photos with Krampus, and a fantastical Day of the Dead Altar centerpiece. The Coffin Cruisers Hearse Club and the Death Proof Nova will be INSIDE the venue, and an all-new DIY Area for kids of all ages have been added to the line up of fun things happening during the 2009 festival! 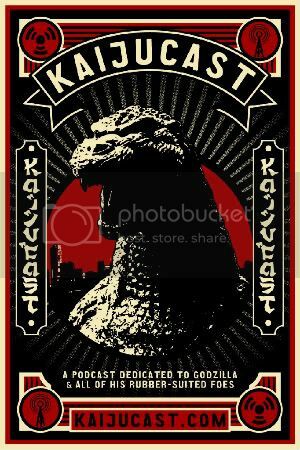 Download the ninth episode of the Kaijucast right here! Feel free to write me if you are enjoying the podcasts or if you have any music requests, questions or even ideas for future shows, too. Make sure that if you have a facebook account, become a fan of the Kaijucast!